A showcase of exceptional glassblowing skills. 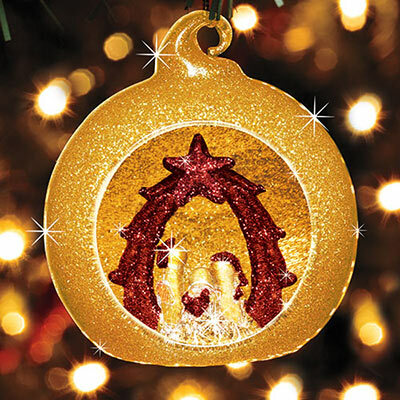 From the nativity scene being brilliantly displayed on the inside and the glittering globe on the outside, this Handblown Nativity Ornament is a gift to be cherished for years. 2½" dia. with 2" cord.